“The rich think of their wealth as a strong defense; they imagine it to be a high wall of safety” (NLT). Money is a strange thing. One day it can be worth a lot of, well, money. Then, at the turn of clock, it can become worthless. So many have seen fortunes disappear at the sound of a closing bell. Others have seen their wealth deteriorate along with a decline in political stability. 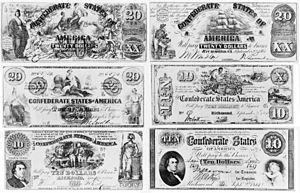 Many years ago the southern states (The Confederacy) that broke away from the Union made their own money. After 1865 it all became worthless. There used to be a saying, “Save your Confederate money, boys! The South will rise again!” Oh, well. 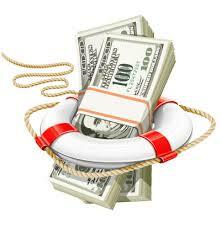 The thing that really makes money valuable is what backs it or insures its value. Not too long ago the Dollar was backed by gold; now it backed “by the full faith and credit of the United States government” (Yeah, right). So, in reality, the rich that feel secure in their wealth are only as secure as the government that backs it. If wealth is one’s idea of a defense or a wall of protection, then they are flimsy walls, indeed! Ask anyone who was around Wall Street in 1929. The sound of crashing walls was deafening. Thank God for His unfailing protection! “The name of the LORD is a strong tower: the righteous runneth into it, and is safe” (Proverbs 18:10). Money is a wall of security with no inherent strength. It’s might changes with the “full faith and credit” of sinful institutions. Those who trust in it for safety are fools.